How much does the trip to Machu Picchu cost in 2018? How much does the trip to Machu Picchu cost in 2018? The trip to the Wonder of the World in Cusco, Peru; Begins with the reservation of the tickets. Then you have to buy train and bus tickets as well as hotels, guides and additional tours. Is the trip to Machu Picchu expensive? How much does the trip to Machu Picchu cost? How much is spent in total? The amount of money that the trip to Machu Picchu costs depends on the experiences that the visitor is looking for. It is true that there are hotels in Cusco and Aguas Calientes where you would have to pay $ 800 or more for one night. However, know that a trip to the Wonder of the World does not have to be expensive. Moreover, it is known that Cusco, in Peru, is one of the most accessible destinations in the Americas. The price of the trip will depend on the style of travel you want to have. There are many options to choose from. From backpacker routes to total luxury. One of the safest ways to travel to Machu Picchu is through an organized tour. However, the most economical and free way is to do it on your own. Air tickets to Lima (Peru) and then to Cusco. Train tickets from Ollantaytambo (Cusco) to Aguas Calientes (Machu Picchu Pueblo). Bus tickets from Aguas Calientes to the Inca Citadel of Machu Picchu. How much does the transportation service cost in Cusco? In Cusco, taxi services cost between 5 to 10 soles (approximately $ 3) per trip. The minivan transport from Cusco to Ollantaytambo is 10 Peruvian soles. The prices of flights to Peru depend on the country of origin. In any case, the destination is the Jorge Chávez airport in Lima. From there you should take another flight to the city of Cusco. Tickets to Machu Picchu must be booked online and in advance due to limited availability. There is an official site that sells tickets. However, to purchase tickets for a university student must be purchased through a tourism agency. Adult 152 S/ Adult 64 S/. Student 77 S/ Student 32 S/. Child (8 to 17 years old) 77 S/. Child (8 to 17 years old) 32 S/. Adult 200 S/ Adult 112 S/. Student 118 S/ Student 80 S/. Child (8 to 17 years old) 118 S/. Child (8 to 17 years old) 80 S/. Adult 174 S/ Adult 86 S/. Student 81 S/ Student 43 S/. Child (8 to 17 years old) 78 S/. Child (8 to 17 years old) 40 S/. Garcilaso House – Garcilaso Street s/n Cusco – Peru (2 blocks from the Plaza de Armas). Decentralized Address of Culture Cusco: Calle Maruri 324. To buy tickets to Machu Picchu, tourists must approach these offices with their identity document or passport. The offices are in the Historical Center of Cusco. Getting there takes approximately 15 minutes. The queues to buy the Machu Picchu ticket in Cusco can take 30 minutes on average. Tickets for university students are purchased only in person or online through tourism agencies. The updated university student card is the only valid document to make the purchase of the discount ticket for students. To buy Machu Picchu tickets in Cusco you must make long lines at the authorized offices. Also, you may not find availability. The best option is to do it online. There are two train companies: Peru Rail and Inca Rail. In both cases it is recommended to buy the ticket online and in advance. Otherwise, the tourist must make long queues in Cusco to get their tickets. Above, you may not find availability. *The Hiram Bingham luxury train departs directly from Cusco. Portal de Carnes 214, Plaza de Armas of Cusco. Av. Ferrocarril s / n, Ollantaytambo Sacred Valley of Cusco. Train station Ollantaytambo: Av. Ferrocarril s / n, Sacred Valley of Cusco. To buy the train tickets in person, the tourist must approach the sales offices with their identity document or passport. Train tickets are subject to availability. When you buy at the last minute you run the risk of not finding tickets available. Arriving at the train ticket sales offices, making the queue and the purchase can take an average of 1 hour. That is why it is recommended to buy tickets online. Children under 11 receive a discount of almost 50% of the value of the train ticket. How long does it take to buy the tickets, train tickets and bus to Machu Picchu? The ticket purchase offices, train and bus tickets are in different places. Therefore, buying these tickets in person in Cusco can take half a day. Bus tickets can be purchased without problems online or in Cusco. However, when boarding the bus there are usually long queues (especially in the mornings). The bus trip takes 30 minutes on average. Another option is to walk up to Machu Picchu (2 hours approximately). Av. Hermanos Ayar, District of Aguas Calientes – Cusco. To buy bus tickets in person, the visitor must approach the offices with their passport or identity document. To make the purchase in the Aguas Calientes office, the visitor must make a queue of approximately 15 minutes. Most tourists decide to take the bus from Aguas Calientes to Machu Picchu to save their energy and travel the Inca City better. In any case, young tourists in good physical condition can climb on foot to the Wonder of the World. Below we present an approximate budget for people who wish to travel without a tour and considering standard services. *The budget does not include hotel services, meals, additional tours and flights from abroad to Lima (Peru). How much does it cost one night in a hotel in Aguas Calientes? The 3 star hotels in Aguas Calientes have an average cost of 200 soles ($ 63) per night. The restaurants of Peruvian cuisine, 100 soles per person ($ 31). The train is not the only way to reach the Wonder of the World. In addition there are other alternative routes such as the Inca Trail or the route through Santa Teresa to Machu Picchu. Getting to Santa Teresa will cost around $ 30. The stretch in minivans, from Santa Teresa to Hidroeléctrica will cost between $ 1.5 and $ 3. Note the return price (to take the same route). From here you can walk along the train tracks to reach the town of Aguas Calientes. We recommend you bring water $ 0.65. One night in Aguas Calientes with a basic service can cost you around $ 25. The next day; You can go from Aguas Calientes to Machu Picchu walking, but if you do not do so, remember; The round trip bus ticket from Aguas Calientes to Machu Picchu will cost you $ 24. Getting to Machu Picchu through the 4 days and 3 nights trekking route known as the ‘Inca Trail’ costs approximately 800 dollars per person. You should have your Machu Picchu entrance purchased before you get to Aguas Calientes. We also recommend having available change (in soles and dollars). Nobody will change a $ 100 bill for a bottle of water and snacks. In case of food, we recommend you spare no expense, remember that Peru is the best culinary destination in the world. These data have been collected from people who recently traveled with us. In Cusco there are hotels for all budgets. You can find cheap hotels (between $ 15 and $ 60). Transportation in Cusco is economical. Getting to the center will only take a few minutes by taxi and is very cheap (between $ 1.5 and $ 2). There are highly recommended restaurants in Cusco and Machu Picchu (from $ 20 the plate). However, you can also enjoy Peruvian food in the markets. In Cusco, there is the San Pedro market (only a few blocks from the city center), a lunch will cost you there between $ 2 and $ 4. Taxis within the city: $ 1.5. Taxis from the airport to the city center: between $ 5 and $ 3. The Cusco Tourist Ticket includes 16 places in Cusco and the Sacred Valley of the Incas (includes Ollantaytambo, Sacsayhuaman, Pisac, Qenko, Puca Pucara, Tipon, Moray, Pikillacta). Everything will cost around $ 45. Students pay 50% discount. 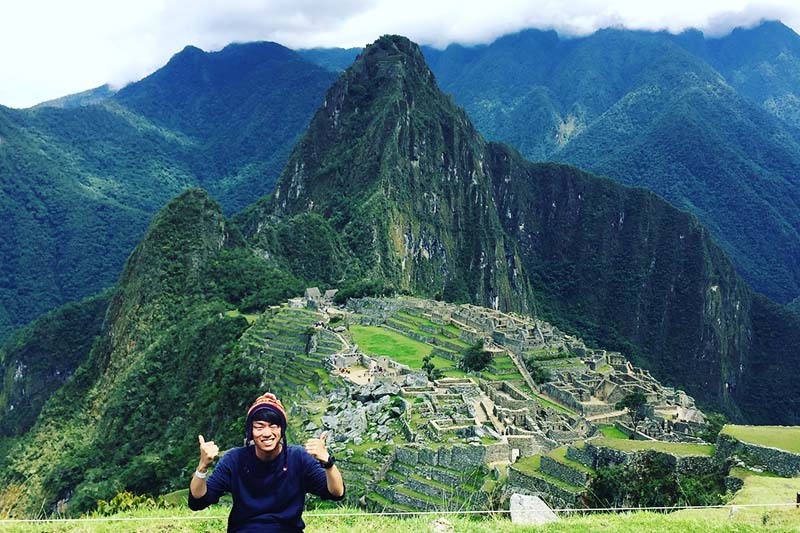 Guided service in Machu Picchu is mandatory. You can reserve one in advance online. You can also hire a guide at the entrance door. It will cost around $ 10.